I started writing this blog and chronicling my hikes over ten years ago. It’s been an incredible journey for me, learning how to explore the mountains safety, maintain an appropriate level of fitness, and decide how best to share (or not share) my experiences with others. 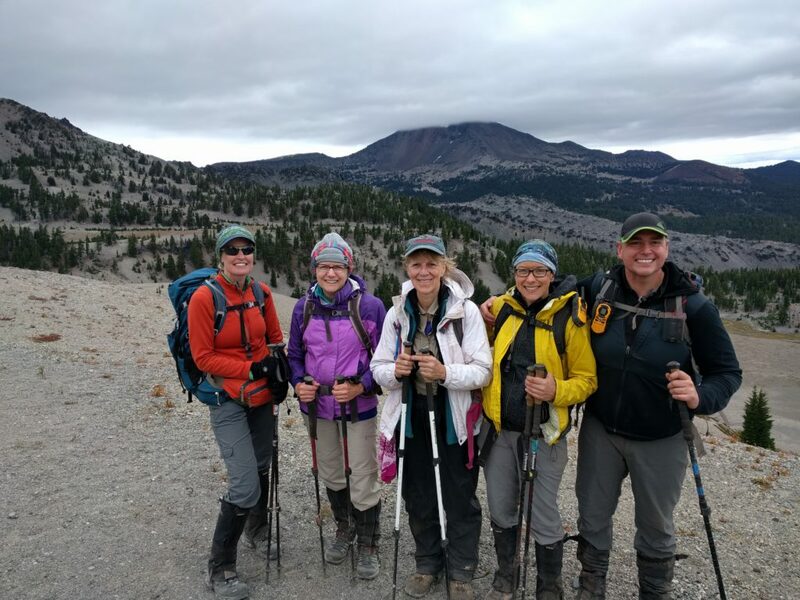 Looking back at the last 10 years is rather daunting, so today, I reflect on the last year of hiking adventures and choose some of the highlights to share today. The year 2016 began at an AirBnB rental outside of Ashland, Oregon, which gave my partner and I a base camp in Southern Oregon to visit some new places. We wandered around the parks in Jacksonville and Ashland but the highlight of this trip was the snowshoe up Brown Mountain. From the top we could see nothing but blue skies and a gorgeous view of Mt. 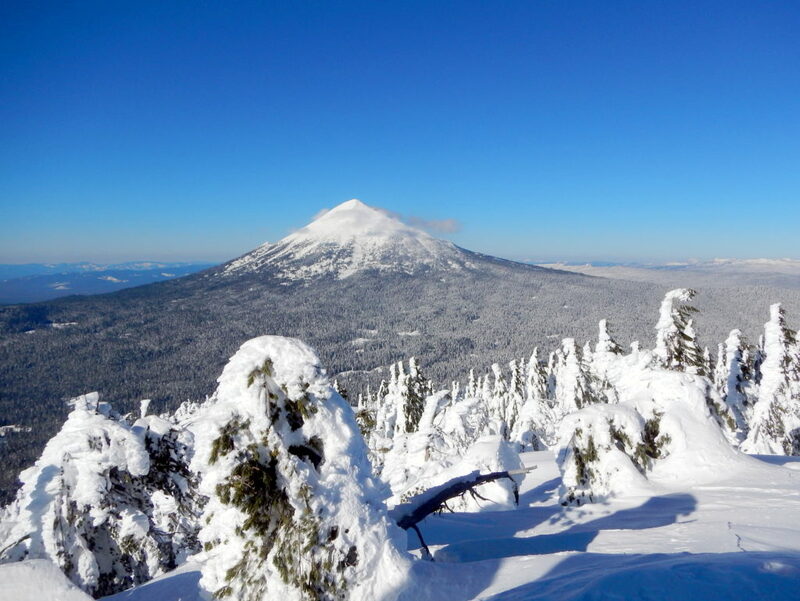 McLoughlin, a snowshoe destination for another day. The next big trip took me on assignment for Outdoor Project. 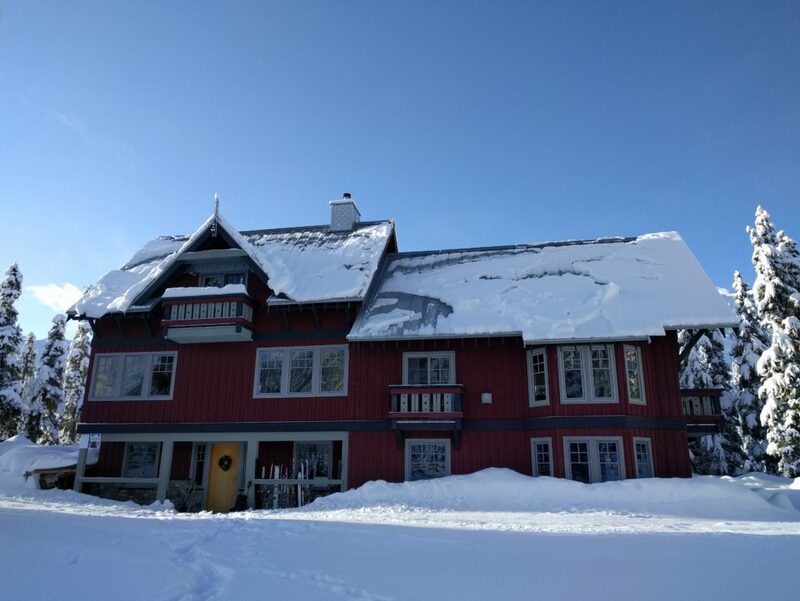 We headed up to British Columbia for a long snowshoe slog out to a cabin in the woods. The Journeyman Cabin was, by our standards, pretty plush accommodations. There was a roaring fire keeping the multi-story building warm. All our food was artfully prepared and delicious, and the other cabin-goers were quite friendly. During our visit we enjoyed the views of the Canadian backcountry and sneaked in a few waterfalls and coastal explorations while we were there. Back at home, I ventured out on lots of short hikes whenever I could squeeze them in: Abiqua Falls, Peavy Arboretum, Spencer’s Butte, Horse Rock Ridge, Dimple Hill, Baskett Slough, Beverly Beach. Hiking to me is like medicine. It keeps me sane, happy, and healthy. Whenever I saw a gap in my schedule, I’d pull out the map and go somewhere new. The biggest trip of the year was yet to come. My partner and I try to get out on a 2 week vacation once a year, and this year we headed to Hawaii. We split up the two weeks between Maui and Kauai. Although I was anticipating that I’d love Kauai (I was told it was a hiker’s paradise), I truly enjoyed Maui. 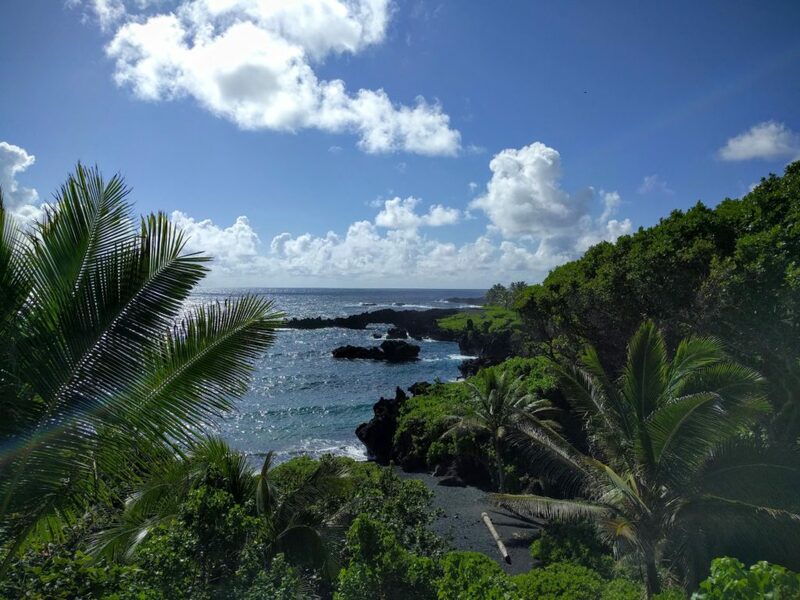 On Maui we explored the volcanic national park, waterfalls, beach hikes, dragon’s teeth, blowholes, jungle hikes and city walks. We got engaged on an isolated beach under the palm trees. We ate shave ice, went snorkeling, visited museums, and savored local specialties. It was a magnificent getaway. Upon our return, we quickly signed on a new house and started packing up for Bend. It was a challenging summer, with getting back from vacation, buying a new house, moving my business, and traveling home before my mom passed away. There wasn’t much time for hiking, but I made time when I could. I was grateful to have planned a multi-day trip before all the chaos began, so I had a little escape in the woods at just the right time. And it just so happened to be in my new backyard. I met up with my friend Rick for 3 days of peak-bagging: The Wife, The Husband and Little Brother. All three peaks were on the west side of the Three Sisters. It was brutally hot, the mosquitoes were fierce, and the trails were long, but there’s nothing like a long,hard day to set my head straight. We successfully accomplished our goal and reached the top of all three mountains. 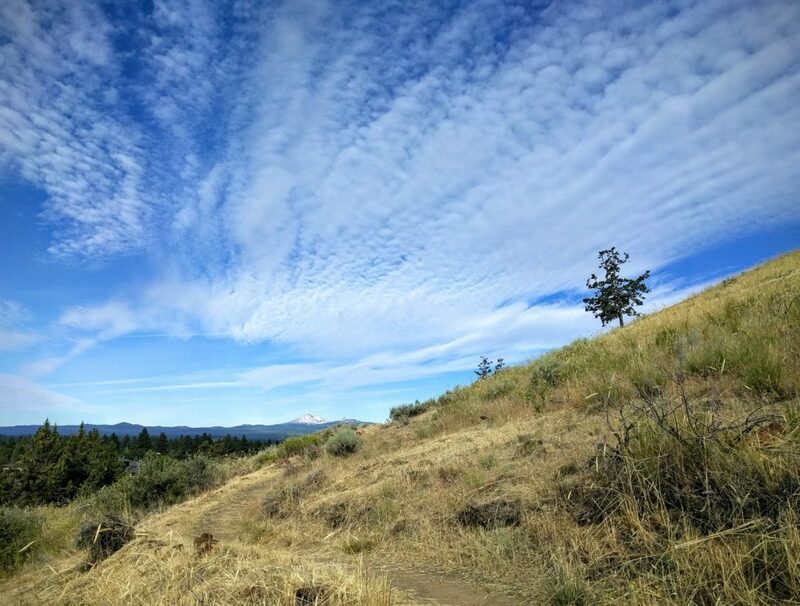 At this point, I started racking up a lot of hikes on Pilot Butte, my new local hill. The trail to the top is just under a mile, but if I walk from my house, it turns into about a 4-mile round trip. 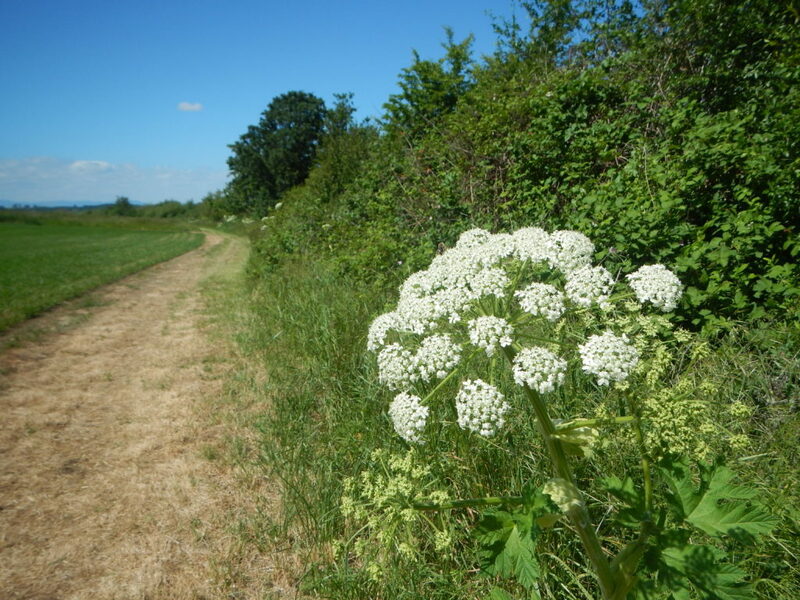 I counted the first few hikes towards my annual hiking mileage total, but I quickly stopped recording these since they felt more like normal walks than honest-to-goodness hikes. Dramatic clouds from Pilot Butte. By now I was really digging life in the desert and dreading the weekly commute back to Corvallis. But, I was excited to be training my last Corvallis-based climbing team for their South Sister ascent in September. 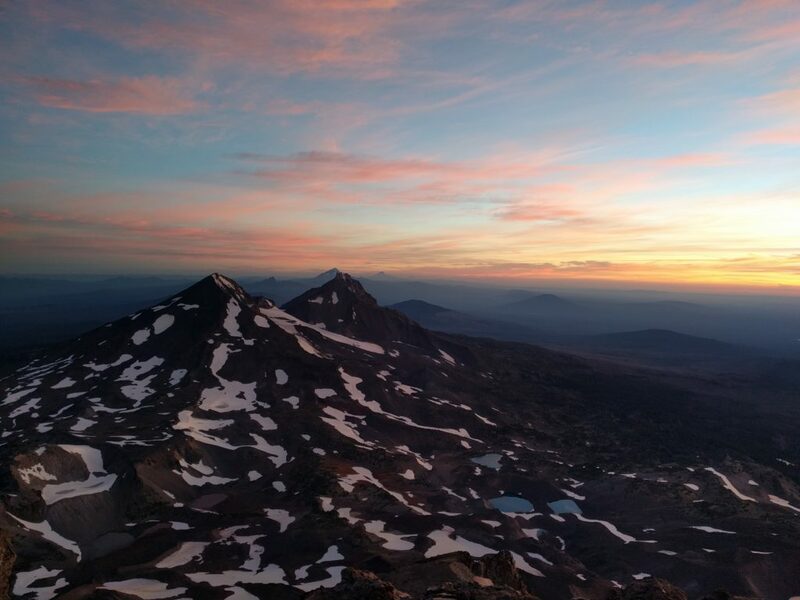 On a whim, I decided to join my friend Karl on a nighttime climb to try and catch the meteor showers from the top of South Sister on the evening of August 12th. Well, I hiked through the night to meet him at the summit, and we hiked out the following morning together. I’ve never blasted up that mountain so quickly. When it’s dark, and you’re alone, the only thing to do is walk! The only breaks I took were to watch the incredible sunset from the flatlands above Moraine Lake. Oh, how different the mountain would be just a month later. When our team climbed it on September 17, we got caught up in nasty weather. Wind pummeled us on the whole ascent up the upper ridge, and it was so cold at the rim we hunkered down in the first windbreak to layer up and get some calories down. We forgoed the actual walk to the summit rockpile because it just wasn’t worth it. There were all sorts of unprepared characters up there who were freezing and all we wanted to do was get down. But every trip to the mountains brings its own lessons. We learned that being uncomfortable is okay, just uncomfortable. Anyone who showed serious signs of hypothermia, difficulty breathing, etc. we attended to right away. After we hiked back down out of the clouds and wind, the smiles grew back on everyone’s faces and we knew we’d each just gotten a little stronger and more experienced. I was happy to have facilitated that experience for everyone, and helped my team build some respect for the mountains and for each other. A week later I was back on a plane, this time to New York City. I spent a few days at a work-related event, but I tacked on a few days of free time that I used to explore the city on foot. 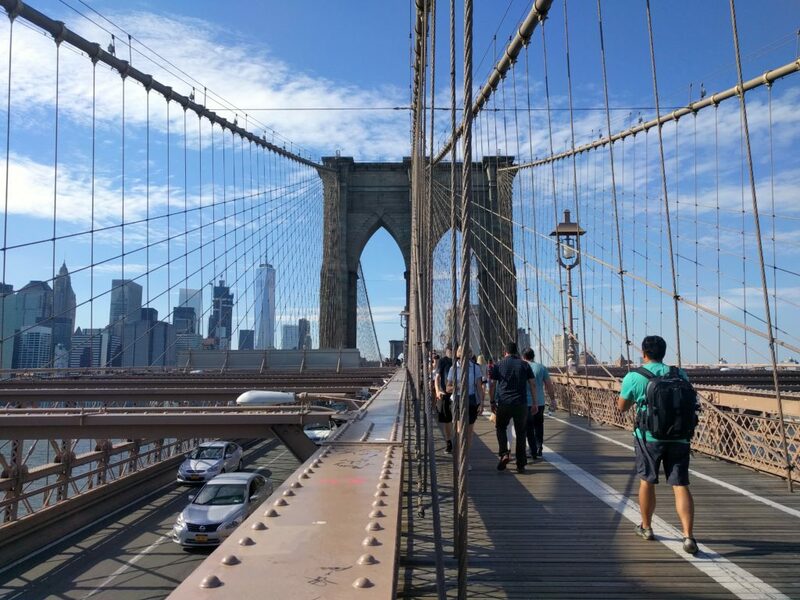 My favorite walk took me from Brooklyn to Manhattan, through Prospect Park, across the Brooklyn Bridge, and along hundreds of different city blocks. Back in Oregon, I used my weekday time off to get out into the Three Sisters Wilderness as often as I could, tagging several peaks in the time I had before the road access would be snowed in. As the snow fell in the high desert and fewer peaks became available, I started looking east. 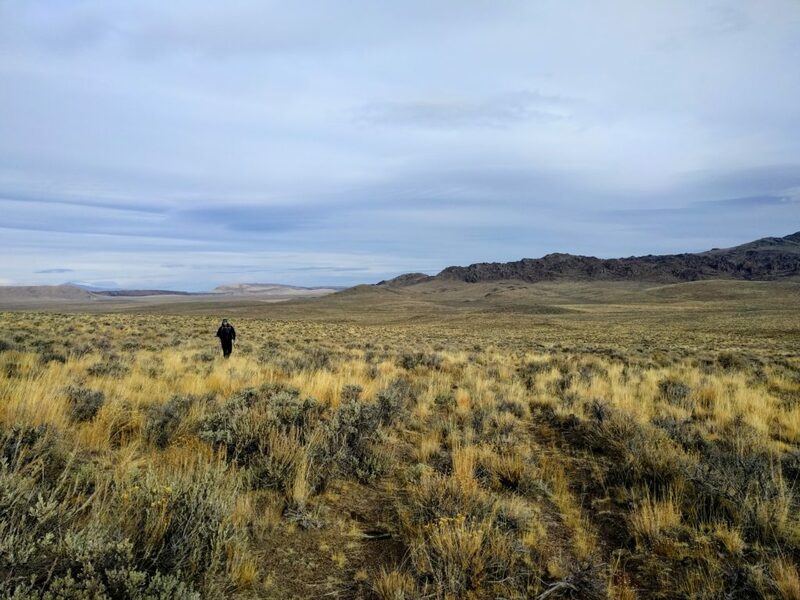 For this year’s Thanksgiving trip we drove east and south to BLM land that wasn’t socked in for the season. Out there we camped in solitude for several days and scrambled up to a few highpoints along the way. Somewhere in the desert, we roam. 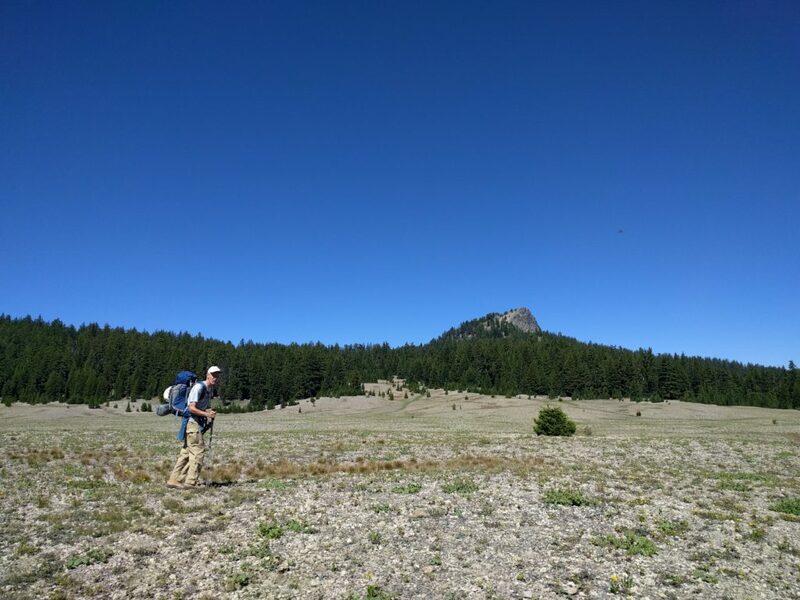 For the past few months I’ve been wrestling with the ethics of sharing information with the masses online and what the impact of such widespread sharing has on our public lands. I haven’t come up with any major conclusions or guidelines, and by no means do I think that this humble website has much impact in the grand scheme of things, but I’m becoming more aware of this ethical dilemma. With more information easily available, that means more places becoming overwhelmed with visitors. But these places also need easy access and proximity to services, which many of my off-the-beaten-path discoveries do not. So what’s the harm in sharing? As I become more cognizant of this potential impact, I’m stopping to think about what details I’m willing to share, and with whom. And I’m listening closely to what other people are saying with respect to the sharing debate. 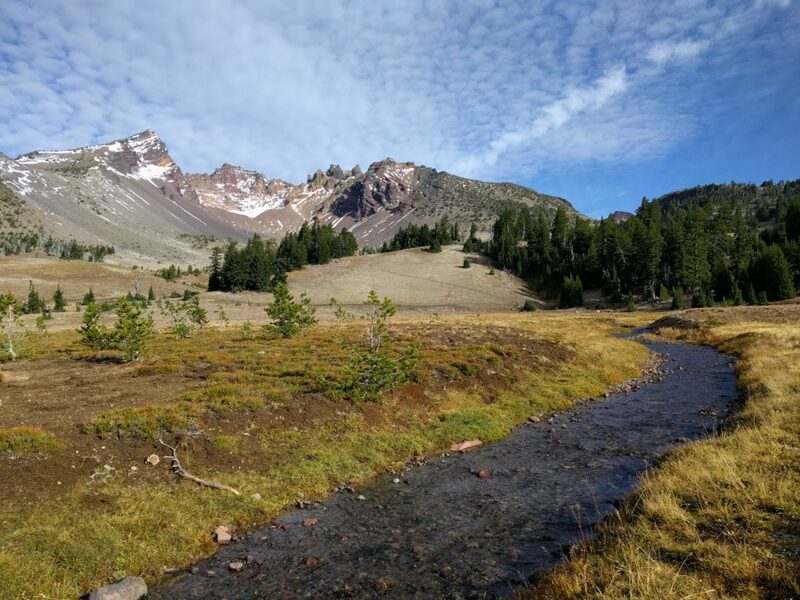 Firmly rooted in Bend, I decided to take on a leadership role with the Cascades Mountaineers. I put a few trips on the schedule and met some great people at the end of the year. We snowshoed up almost to the top of Lookout Mountain in the Ochocos, a wonderful and long route that leads through pretty, east-side forest. 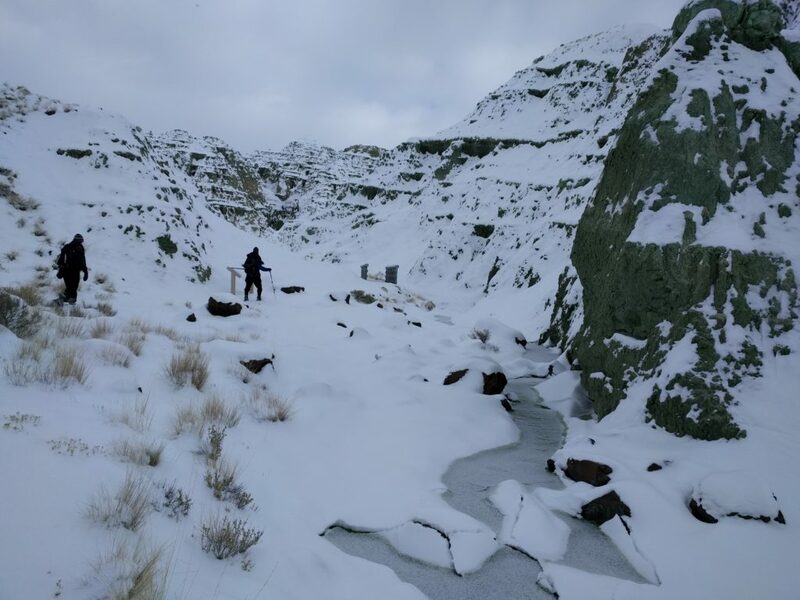 I also took a group out to the John Day Fossil Beds National Monument, which had just gotten hammered with snow before our trip. We explored the Sheep Rock and Painted Hills units, which were all blanketed in snow. To finish the year and rack up a few more miles than I did last year, I set out on a solo Christmas camping trip and took a group of friends up the elusive Paulina Peak on New Year’s Eve. Solo trips, contrary to popular belief, are not lonely or scary. They’re peaceful, reflective, challenging, and inspiring. I enjoy hiking with a partner or a group, but I also enjoy hiking by myself. These are all totally different experiences, and valuable for different reasons. What are your hiking goals for the new year? This entry was posted in General, Hiking on January 2, 2017 by Jess B.